While the Hyperdimension series is known primarily for being a series of traditional JRPGs, the series has shown with other titles like Hyperdimension Neptunia: Producing Perfection and Hyperdevotion Noire that the publisher is willing to take some chances and do things differently. 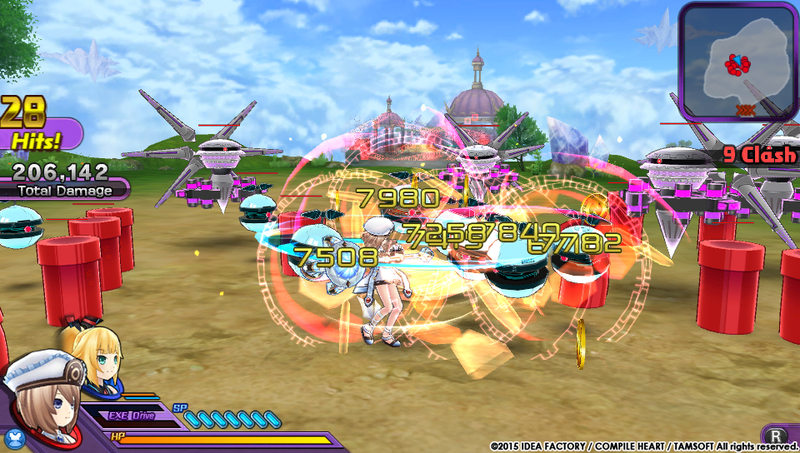 Hyperdimension Neptunia U: Action Unleashed is the most successful deviation from the series' JRPG core to date. Related reading: Matt's review of Hyperdimension Neptunia U: Action Unleashed on the PlayStation Vita. I never got a chance to play this one on the Vita when it originally released, so I was pretty excited to take a crack at it on the PC now. On a technical level, everything is really solid. The visuals look sharp, there is full controller support (I tried it with three different ones and each one responded very well - which is great since this title practically begs to be played with a controller over a keyboard) and the loading times were really quite snappy on my machine. While there are some JRPG elements to play with (the Lilly relationship system, gaining levels, earning new pieces of gear, etc), Hyperdimension Neptunia U: Action Unleashed has a great deal more in common with the Warriors games or Onechanbara (which should not come as a surprise as Tamsoft developed the latter as well as this game). This is an action game through and through, with buttons mapped to actions such as jumping, light attacks, heavy attacks and special moves that temporarily drain your ability power. You can rack up huge combos and ridiculous damage numbers (in one of the first chapters, I managed to hit the 999 combo cap with gun-totting Uni simply by firing away relentlessly at the horde of oncoming creatures). While the overall action and control scheme is relatively basic, enemy creatures will try to gang up and beat on you, and if you venture into a zone that's too high for your level, they can do you in with just a few hits if you are not careful. The girls are all at their best when they transform and gain access to better stats and powers. All of the combat is nice and flashy, with one of the new twists to combat a mechanic that has shown up in other action games featuring pretty girls; their clothing gets torn up along the way. In fact, there are unlockable versions of their clothing that can be considered 'soft' (it breaks more easily), hard (doesn't break at all) or you can just start them off in tatters if you like. True to its Hyperdimension roots, Action Unleashed pokes fun at even this, with the girls questioning why the developers would ever go 'this far'. As is often the case, the characters and narrative continue to hop from one side of the fence to the other, poking fun at fan service while in fact bowing to it on a regular basis as well. If you enjoy the themes found in other Hyperdimension titles, odds are you know what you are getting into here and will enjoy Action Unleashed as well, just know that the style of game is much more one-against-many Warriors-style action than JRPG. Compared to the many systems at play in the main JRPG titles in the series, combat here is pretty simplified. The same can be said of the narrative as well. While there is still loads of text to be read through here and listened to (the usual very good voice acting can be found here as well, despite the somewhat repetitive remarks the girls make during combat itself), the amount of text and narration is greatly dialled back from the JRPG titles. Even the weight of the narrative is far different. In the recently released PS4 Megadimension game, the tone was often dark - dealing with war and destruction. Here, though, it is mostly about the girls getting some good publicity as stories are written about them and their exploits. There is no great war looming over the proceedings, but a series of quests which each girl sees as an opportunity to help her popularity grow. All of this is tied together neatly by a menu/hub system that lets you look through quests and see the objectives and suggested level ranges. You do unlock additional bonus quests that deviate a bit from the norm after a few hours of playing. In general, most quests amount to 'kill this many creatures' or 'take down this one big bad guy' or 'gather up so many of X item'. The latter two really just default to the first however, as the big baddie will not spawn most of the time until you have taken out enough little fries, and the arenas you fight in are quite simple. They are usually limited to a wide circular space, maybe a rectangular one with some obstacles, or perhaps a room with some passages or bridges connecting one fight to the next. Still, the way to get the rare items to drop is by killing the creatures who carry them. The secret or bonus quests usually try to mix things up a bit. Going in, you do not see a mission objective, so you need to spend some time looking about and figuring it out for yourself. The earliest example of this was an open field with invisible enemies. Walk close enough, and said enemy will show up and attack. Kill all of the hidden enemies, and then you advance. So even then, most of the time these have a 'kill X number of baddies' vibe to them. Thankfully the variety of characters really helps the combat along. I found myself using Noire and Uni the majority of the time (since Noire's my favourite of the core cast), and their fighting styles actually compliment one another rather well. 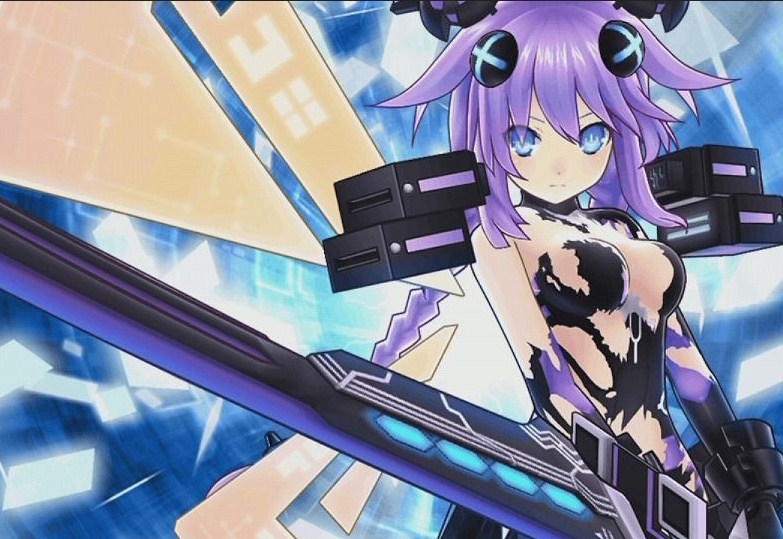 Noire does a lot of straight ahead, powerful attacks while Uni deals loads of weaker, quick hits using ranged weapons. Other characters might have spinning strikes that connect with multiple surrounding creatures (great for crowd control) while others have impressive launch/mid-air combinations. This creates a nice bit of incentive to play different characters along the way. Characters gain experience (and thereby levels) based on how much you use them, so your favourites will start to pull away from the rest of the gang. The only time that slightly irked me was when I had quests that called on specific characters to participate. I found myself having to go back and grind a bit with said characters to make sure they were up to the task, but that did not happen very often. Related reading: Tamsoft (the developer) also produced Onechanbara Z2: Chaos on the PlayStation 4. Matt's full review. 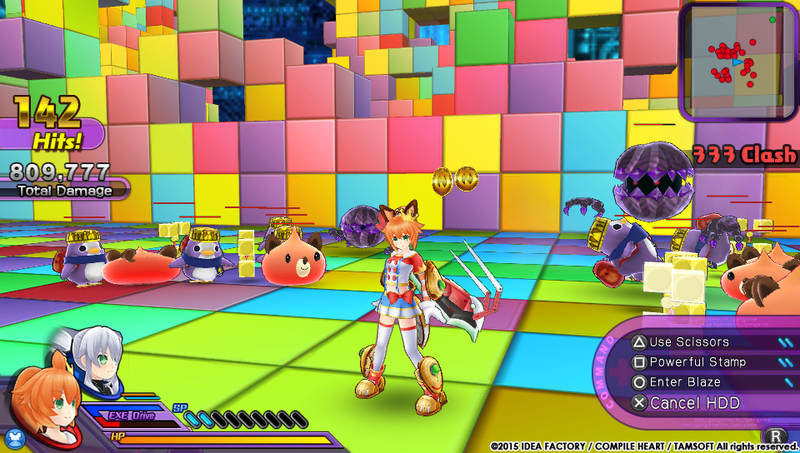 All in all, Hyperdimension Neptunia U: Action Unleashed does a really solid job of bringing colourful characters from the series into a new style of game. The wacky themes and continued commentary about gaming and fan service often brought a smile to my face. This is clearly a different kind of game for the series, but one that still fits in with the rest of the family. The story is a little weaker than the core games in the series, but the combat and progression elements are good enough that I had no problem coming back for more.